Moms, Dads, Students, Grandmas, Grandpas…everyone is encouraged to join PTA! Running Springs PTA is devoted to the promotion of parental involvement and the success of our children. If you are unable to volunteer on a regular basis or unable to make monthly PTA meetings, purchasing a PTA Membership is the perfect way to help support your child and their school without having to be on campus! Together, with YOUR memberships, we can make a difference! PTA Membership also comes with Member Perks, including exclusive discounts from Panda Express, California Academy of Sciences, Baskin-Robbins, LEGOLAND California, Aquarium of the Pacific, and more! 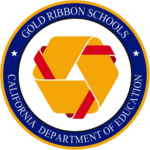 More info can be found on the California State PTA website. How Does YOUR $10.00 Membership Help? What Does PTA do to Benefit YOUR Child? 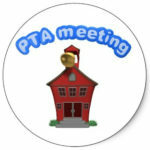 PTA Meeting Dates… Everyone is Welcome! To join PTA, print and complete this form. Or use the online form below. The membership form has closed. To sign up for PTA membership, please click on the Redhawk at the top of this page.